Vaikunth Mehta National Institute of Cooperative Management (VAMNICOM) is a national level apex co-operative management institute under Ministry of Agriculture and Farmers Welfare, Government of India. It is recognized as the premier institute in Agriculture and Business Management. It is located at Pune, Maharashtra. 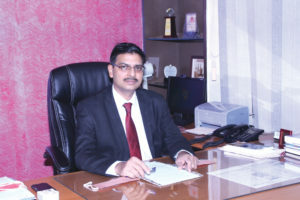 Dr K K Tripathy, IES, is the Director, VAMNICOM and CICTAB, Pune. VAMNICOM moulds students who come from different academic backgrounds and with diverse skills into competent professionals. It offers degree and short duration training programmes which are aimed at human resource development in the cooperative sector. Institute is offering a two-year Post Graduate Diploma in Management (PGDM) programme since 1993. The PGDM Agri Business Management programme offered at VAMNICOM is recognized by AICTE, New Delhi and accredited by National Board of Accreditation. It has got equivalence to MBA degree status from Association of Indian Universities. The course curriculum has been designed to fulfill the requirement of future agri- business managers and help them to get successful placement in diversified sectors. Any graduate from a recognized University, with minimum education of 15 years (10+2+3) full time with atleast 50% marks for the General / OBC (non creamy) candidates and 45% marks for SC / ST candidates in graduation degree program can apply for the programme. Candidates interested in pursuing PGDM-ABM at VAMNICOM, Pune are advised to apply and appear the referred national level test directly and apply to VAMNICOM in the application form with valid score during 11th January 2018 to 31st March 2018 for the 26th batch of the programme. VAMNICOM has reduced its capacity from 120 seats to 60 seats from this year to ensure quality education and training to the country’s future agri- business managers. The academic strength of the institute lies in a team of highly qualified and dedicated core faculty. VAMNICOM has three professors, four associate professors, and two assistant professors. Most of the faculty members have vast experience both at the university and National level institutions on one hand as well as industry experience on the other. They have international exposure in the area of their specialization too. Guests lecturers (industry experts) are also conducted to give the insight of corporate world to the students. The Institutional charges for PGDM-ABM programme (2 years duration) is Rs. 6.40 lakhs. The PGDM-ABM programme is fully residential and the charges include student education and accommodation fees and exclude mess charges. The other two programmes – Diploma in Cooperative Business Management and Computer Operation Management are for the in-service officers deputed by the Cooperatives and Government Departments. The programme fees are very nominal and subsidized. VAMNICOM has a strong alumni network for the PGDM programme and they are working with the best companies around the globe. The institute has produced many stalwart agri-business mangers. Institute is organizing SUTRA in the first week of October every year for developing and maintaining a strong alumni network. Since the year 1995, 23 batches have passed out and around 1200 alumni are in contact with the institute. VAMNICOM aims to become a Centre of Excellence to empower the cooperatives with professionalism and appropriate management. It is all done under the guidance of Dr K K Tripathy, IES, Director, VAMNICOM and CICTAB, Pune. What are the unique features of PGDM-ABM course? The PGDM Agri Business Management programme of VAMNICOM is unique in terms of courses offered and its delivery. The revised and updated course outline is offered from the PGDM ABM 2016–18 batch (24th batch). In the revised new course structure, out of total 40 credits, 11 credits are optional courses. Wide range of optional courses are offered in 5th and 6th Term which includes – Marketing, Finance and Business Modeling. This gives an opportunity to the students to select the subjects as per their area of interest and career goal. Organizations visiting the campus for placements are able to find the right candidates for their pan India requirement at VAMNICOM. The majority of students enrolled are graduated with of agriculture and allied subject area. The students of VAMNICOM are trained to be best suited to work in agri business sector and rural development works mainly in rural area. What are the main objectives of this program? How these are attained? The main objective of this programme is to enable the students to acquire required skill and knowledge to perform as proficient agri-business manager. The programme with the support of reputed faculties and subject experts, moulds the young students who come from diverse socio-economic and cultural backgrounds and tries to infuse market oriented skill sets to make them competent professionals in the industry. Adequate and quality session planning, regular classroom and outside classroom teaching –learning activities and timely conduct of examinations make the academic journey of the ABM students enjoyable and long lasting. The results are declared on 31st March and degrees are awarded to the final year ABM students at the convocation conducted in the first week of April every year. In two years how you transform the students to be fit in the agri business? The students of VAMNICOM are very well aware that they would be entering agri-business sector after the conclusion of the course. They are prepared to manage and cope with numerous issues and challenges set by the organization towards development of agriculture business. Keeping this in view students learn the courses floated by VAMNICOM for PGDM-ABM on understanding various core management subjects focusing on the collectives. Further, they experience sharing sessions of guest faculty members drawn from industry and relevant study visits transform the students to fit them into the agri-business sector and empower them to address real life issues and challenges faced by Indian agri-sector. As a part of the course curriculum, students are required to undertake eight weeks Summer Internship during April and May after successful completion of first year in VAMNICOM. In addition in second year they work in live projects with organizations to gain corporate exposure. In this way they get the much required practical exposure to the real corporate world where they would be working for most years of their life. Usually in two years how the curriculum proceeds? The core management subjects are offered in the first year of the programme. Functional as well as integrative subject courses are offered in the second year of the programme. As discussed earlier, 11 optional subject courses are offered in the second year of the programme. The students can select their functional area as per their career goal. Tell us about practical knowledge and training in agri management imparted to the students? Case method of teaching is practiced in the PGDM ABM programme. The case method ensures participation of students in resolving issues as flagged in the cases and elicits students’ own decision towards addressing difficult and real life situations. The Institute has access to the Case Bank of Indian Institute of Management, Ahmedabad (IIMA). The case studies and exercises discussed in the class, study visits to farm field and interactive sessions with agriculture industry and experts equip the students with the much required practical knowledge in agri-business management. Summer internship and project course help the students to get trained in agri- business management. What changes have been introduced in the curriculum of the degree course : PGDM-ABM for the next academic year? In the year 2016 the curriculum has been revised and updated. The first batch with this new structured course outline will be graduating in March,2018. As per the policy of the Government of India, VAMNICOM will encourage the students to startup their own entrepreneurial venture on completing the programme. To encourage the students, a new course on Starting Business in Agri Sector will be introduced in 2018. The course curriculum is mostly focused on Management and students get the opportunity to study wide variety of subjects such as Agri Input Marketing, Brand Management and Services Marketing etc. The students are taught about the use of technology in agriculture and agri-input management. The course discusses in detail about traditional farm practices, the pros and cons of such practices and evolution of improved agronomic practices etc. to have a comparative knowledge on the farm practices and gains from various practices adopted in Indian Agriculture by farmers community in different parts of the country. Study/field visit is another area of attention at VAMNICOM to provide practical exposure to the students. For example, study visits arranged to NDDB, Anand help students to understand the collective model of dairy business. Visit to various Krishi Vigyan Kendras (KVKs) and Banks enable the students to understand the digitalization and financial inclusion in the rural areas. In this way our students adopt themselves to the different process and practices in Indian agriculture and allied sectors. Tell us about the placements at the institute? Our B-School Ranking and NBA Accreditation attract more young bright agriculture graduates to our Institute. The companies are now able to find qualified young management trainees as per their requirement in our campus. This year, campus placement is in progress. We could ensure placements to the 70 per cent of our students till date in various premier organizations viz. Rasi Seeds Pvt. Ltd., Deepak Fertiliser, Dhanuka Agritech Ltd, Eid Parry, NCML, Rallis India Ltd., Nobel Seeds Pvt. Ltd., Fincare Small Finance Bank, HDFC Ergo, ADM, Bharati Axa General Insurance Ltd., Annpurna Micro Finance, Source Trace, Reliance Retail Ltd., Ergos Business Solutions Pvt. Ltd..
What is the pay package offered to the students? The pay package offered to the students of PGDM-ABM 2015-17 batch ranges from Rs. 4.5 lakhs to Rs. 13 Lakhs with an average of Rs. 6 Lakhs per student. The same trend is seen this year too. How many students go for the placements and what is the percentage of agri-preneurs per batch? In the previous batch strength of 63 students, 60 students opted for campus placement and got placed. Only three students that is less than 2% opted to become agri-preneurs. What are the future plans at VAMNICOM? The foremost goal before me is to make VAMNICOM a Centre of Excellence in India in the fields of agriculture education, training and research and rural development. My plan also involves enhancement in the quality of management education, research and training through continuous review and updation of syllabi of the courses/programmes being implemented in this institute. VAMNICOM has signed Memorandum of Understandings (MoUs) with various other countries with a view to exchange good practices in agri-business, cooperatives and rural development. Besides improving the quality of the training programmes with these countries, I wish to involve ABM students and other participant trainees in some of these important training programmes to ensure their wider exposure in agri-business, education and research in cooperative and rural development. “PGDM-ABM is a very good course. It provides detailed insight into agribusiness industry in best possible way. During those days in the year 2002 other premium institutes like IIM were offering only 15 months or 18 months diploma in agribusiness but VAMNICOM offered two years degree program in agribusiness so it was different and promising,” affirms Mr. Surajit Sinha, Alumini, 2002-2004. Most of the batchmates of Mr. Sinha were from agricultural background and others were from diverse disciplines. “Also there were some students from foreign countries. The institute has tie-up with Sri Lanka so we had students from there too. It was fairly a good mix,” he shares. VAMNICOM does take students for field visits but mostly to co-operative organization such as Amul. “Rest if the students show interest in taking up projects in other corporate they provide the best possible support. We used to get lot of encouragements in all other activities through which we could get practical exposure in our subject related industry,” asserts Mr. Sinha. “Majority of the students get placed in reputed companies through campus recruitment at VAMNICOM. Its’ placement was good in our times too and is becoming better every year. Being a government run institute many government companies come for the placement. Students must put in their 100% commitment in gaining maximum knowledge and application of the same. They need not worry about searching for job after completing the course because the institute takes care of it well,” he states. VAMNICOM claims to have 100% placement and it takes effort to attain it every year. “VAMNICOM is a good institute and the courses offered are elaborative and prepares the students well for their professional life. In addition, it grooms the overall personality of the students as well along with education. Those who want to pursue higher education would find credibility of VAMNICOM significant in their curriculum vitae,” he adds. Agriculture and allied sectors have immense opportunities for advancements and growth. “These days’ farmers are considered as business partners for the service providers. Also individuals from IT sector can blend their work operations in agriculture by bringing the much needed technology to improve the farm production. Infact IT and agriculture together is the future of the country so explore it wholeheartedly,” he concludes. 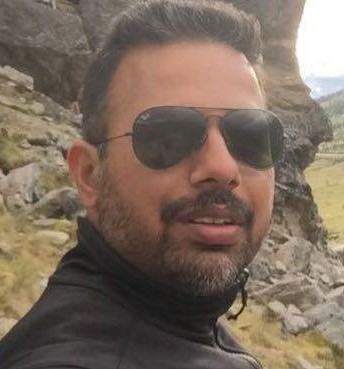 Mr. Sinha is working in SourceTrace Systems as VP-Marketing. “Nice infrastructure, learned faculty and good exposure to the rural economy were the main reasons I choose VAMNICOM for my post graduation degree. 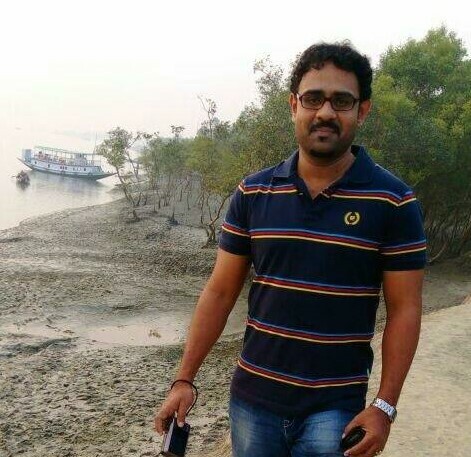 I was interested in knowing and understanding the rural sector thus PGDM Agri Business Management programme suited me the best,” says Mr. Gopi Krishna Udandarao, Alumini, 2000-2002 batch. The practical exposure given to the students through field visits, exhibitions, seminars and guest lectures were the unique features of the program according to Mr. Gopi Krishna. “In those days the faculty at the college was certainly excellent but being in the teaching profession for most years of their life they tend to get more theoretical and also they had to follow the curriculum stringently. It made them confine their talk to the course outline. It is obvious and no complaints about the same! Therefore guest lectures that were given by the industry experts filled in the gaps and provided us the insight into the real world. They covered a wider scope and gave a different dimension to the subject as while interacting with us they brought in their real-experiences from the work area. It used to work out as good combination of introduction and visualization by the lectures of professors and guest speakers respectively. I personally used to look forward for the guest lectures,” he affirms. “In our batch, students belonged to diverse background like some studied agriculture, commerce, engineering or science in their graduation. We had a good mix and when we used to discuss some topic each one used to bring a different perspective to the same topic of discussion. It definitely helped us to get an insight in other fields as well,” he highlights. VAMNICOM is consistently growing since its’ establishment and 100% placements exemplifies that the institute is gaining distinctive recognition. “Ours was the relatively new batch and the student strength was also less nonetheless we had fairly good campus placements. However the recent update what I got about the institute is that these days many national level corporate are recruiting students and offering them quite competitive salary package when compared with other premium institutes of India. It is much better than what we had in our times. Institute is definitely reaching new heights with every passing year,” Mr. Gopi Krishna shares his views on the institutes’ growing credibility in the corporate world for developing proficient work force. Students having passion for rural segment, inclination towards co-operative sector and interest in banking must come to VAMNICOM advices Mr. Gopi Krishna. “It is the right place for them as the entire course has been structured around these areas. Also the infrastructure offered is excellent when I compare with other colleges and institutes. Students must make most of it and learn diligently to put them ahead in the competitive world. All the best,” he signs off. 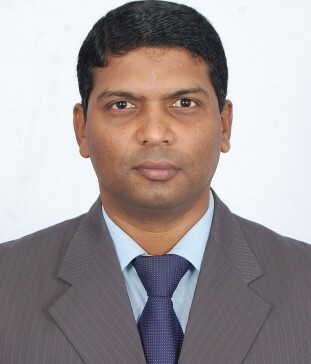 Presently Mr. Gopi Krishna heads Aviva Micro Insurance based at Hyderabad. He also goes to different colleges for giving the lectures as visitng faculty. A well structured program exclusively in Agribusiness and Banking Insurance Management attracted Mr. Amrendra Mishra towards VAMNICOM PGDM-ABM programme . He completed his graduation in Maths Honour from Hindu college, Delhi University. “I wanted to explore agribusiness segment and VAMNICOM was offering the specialization in the same so I selected it. It gave me good introduction to new subjects that helped to spread out the vision,” says Mr. Mishra, Alumini, 2004-2006 batch. “We had disciplined study and learning environment. In addition strict attendance and rules also were instrumental in shaping our personalities for good in the residential program. Our course structure was quite vigorous in terms of assignments, mid-terms and exams. Our daily schedule was very much packed with work to be completed within the stringent deadlines. So all together it prepared us well for the corporate world and developed professionalism,” he highlights. Excellent infrastructure and placements are other remarkable features of the institute. Mr. Mishra found the mix of different background of his batchmates quite interesting. “We were different from one another in terms of our culture and education. Most of us came from different Indian states so it was nice to know and learn so much from each other,” he adds. During the two years management program the faculty was subject experts in alliance with the course outline. “They were fine! Some of the in-house professors were good and had the skill set as required while few of them could be better,” he states. VAMNICOM offers practical exposure to students in alliance with the program. “We were not confined to the classrooms but taken for many field visits like AMUL, Anand university, Anna Hazare’s Ralegan Siddhi and so on. Visits to these places were helpful in relating some of the classroom teaching with the real world. Interacting with people from the specific segments also helps in coming face-to-face with realities. It was a good experience,” affirms Mr. Mishra. Institute promises blend of theoretical and practical learning to the students and provide the same during two years programs. Companies recruiting students at VAMNICOM are nationally renowned. “The salary package and job positions students of PGDM Agri Business Management programme acquire is exceptional. In our batch close to 95% students were placed in different companies before they had degree in their hands. None of us had to struggle to look for a job as institute takes the responsibility to bring best of the best companies in the college for placements,” asserts Mr. Mishra. National level co-operative and commodity exchange companies came for the recruitment. Institute organizes annual alumini meet every year in the first week of October. Institute has good alumini network based across the country as well as outside India. “I wish more one-to-one corporate interactions are held with the students. It is a new big advantage for the new batches and they must leverage on it,” he highlights. Agribusiness is the booming industry as with the growing population food will always be an area of umpteen importance. More professionals are needed to the serve the industry, organize the supply chain systems and come with new advancements therefore the scope for growth and prosperity for the youth is immense in this sector believes Mr. Mishra. “Try to learn beyond books and gain practical experience as much as possible. Participate in industry related seminars and exhibitions. Interact with industry experts and try to build the resourceful network,” he advices the students. He concludes, “It is nice to see our institute growing steadily. They keep in touch with their students and update their program regularly. I wish success to my institute.” Mr. Mishra presently is working at ADM Agro Industries India, Gurgaon as General Manager.